Travelogue of An Armchair Traveller: More "Bridges with Holes"
I have been lucky to be in touch with Robert Cortright (www.bridgeink.com), authour of "Bridging the World" - A 208 page hard bound presentation of 306 colour photographs of bridges from 6 continents. 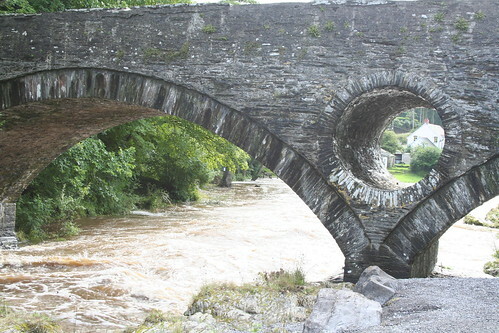 It may be worth mentioning that the arch bridges with open-spandrel design are quite common but the bridges presently covered in this post have a strange look due to circular or almost circular holes. 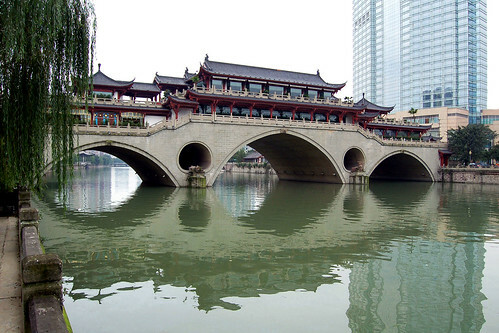 The Anshun (Meaning "Peaceful and Fluent") Bridge is a bridge on River Jin in Chengdu south-western China. The covered bridge also houses a large restaurant and is a popular eating location in the city. It was constructed in 2003 as a replacement of the old bridge which was destroyed by a flood in the 1980s. 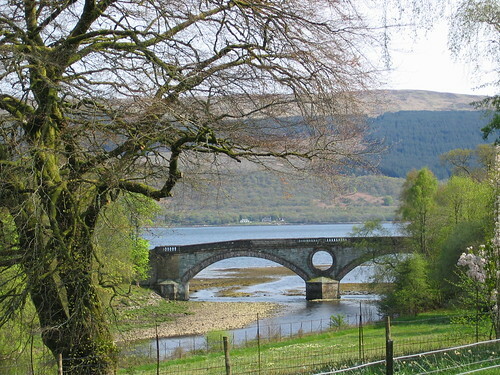 The Aray Bridge at the mouth of River Aray at Loch Fyne at Inverary, Scotland was designed by Robert Mylne and built in 1775. 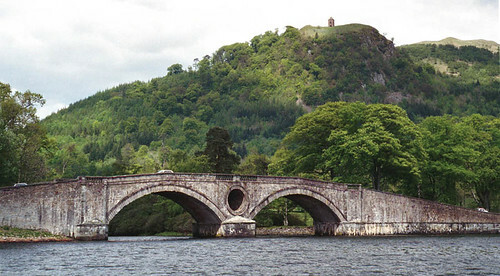 It is also known as Inveraray Bridge or Military Bridge. 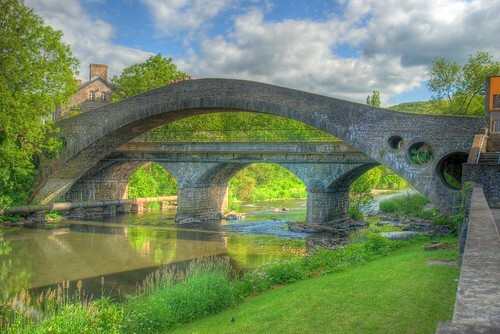 This bridge across the River Teifi at Cenarth was also designed by William Edwards who had designed the Old Bridge Pontypridd, Wales. Built in 1787 it is still functional today. 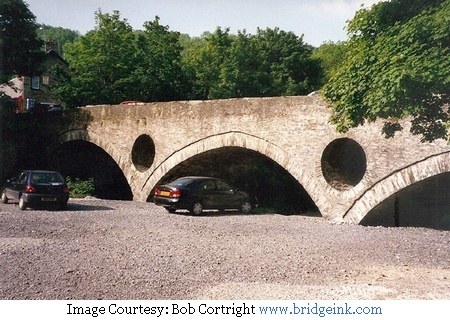 Its two spandrels are pierced by large circular openings to reduce structural weight and allow floodwater through. 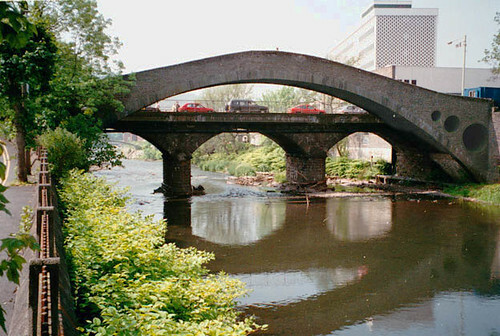 This bridge on the river Taff was designed by William Edwards it was the first built in 1746 but within a span of 3 years and after repeated failures the fourth and present bridge was built. The final design of the bridge included three cylindrical holes of 2.7 m (9 ft, 1.7 m (6 ft) and 1.1 m (4 ft) on each side on the bridge so as to reduce the weight and pressure on the crown. At the time of its construction, the bridge with a span of 42.7 metres (140 feet), was the longest single span bridge in Europe and it may have also been the longest single-span bridge in the world too. However many consider the bridge as a failure, as it was only eleven feet wide between the parapets and so steep that wagons had to use a 'chain and drag' to descend from the crown. Initially known as Newbridge, it was renamed "Old Bridge" in 1857, after a new bridge (Victoria Bridge) was constructed adjacent to it. It is now used as a pedestrian bridge and is a scheduled ancient monument. Credits: I am thankful to Robert Cortright for furnishing me the names and images of these bridges with holes. I had tried to Google for other bridges, besides pant-y-goitre bridge, which have holes but could not find any other bridge. This post could not have been possible without the information supplied by him.